Do You Know About ICE? ICE (In Case of Emergency) for Mobile phones is a program that enables first responders, such as paramedics, firefighters, and police officers, as well as hospital personnel, to contact the next of kin of the owner of a mobile phone to obtain important medical or support information (the phone must be unlocked and working). 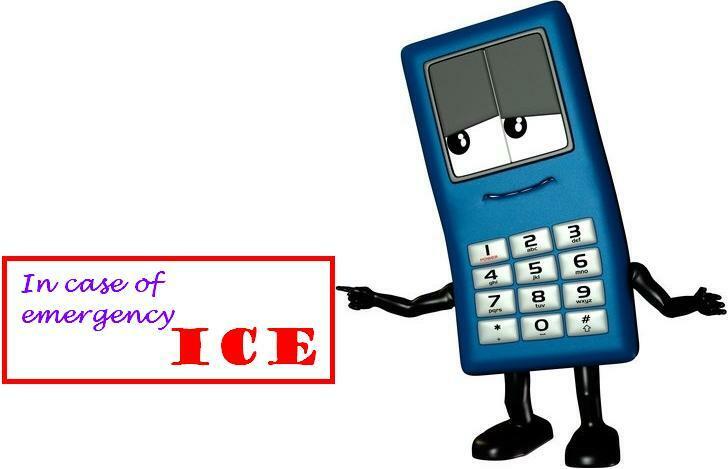 It encourages people to enter emergency contacts in their mobile phone address book under the name "ICE". Alternatively, a person can list multiple emergency contacts as "ICE1", "ICE2", etc. Some manufacturers support the campaign by adding an ICE heading to phone number lists of all new mobile phones. Also some handsets provide access to a list of ICE contacts directly from the "locked" screen. Emergency first responders are trained to look for your mobile phone and check ICE in contacts. Another good idea is to post a note labeled ICE with all known allergies, medicines you are taking and your blood type. This simple step could save your life one day. • Your Emergency Contact can be called directly from the screen with one touch. How Walkable is Lexington MA? Lexington is a great town. I am proud to be a life long resident of Lexington. We have art, music, history, restaurants, and more. But it is also very walkable. Walkscore.com is a fun website that rates the walkability of what ever address you enter. They base the score on how many points of interest are within a certain circumference. We used Grant Cole Realtors on Waltham St for the address point and Lexington rated an amazing 91 out of 100. Lexington is really the best place to live! Go ahead and rate your home or neighborhood! Lexington MA has many daily activities for your enjoyment. So if you or your kids are bored this summer, you might want to consider some of these fun and educational options. Historical Tours - Tours of Hancock-Clarke House, Buckman Tavern, Munroe Tavern, Lexington Green, Old-Burying Ground, and Old Belfry. Pricing and hours vary based on location. Lexington Arts and Crafts Society - is a non-profit organization located on Waltham Street. Consisting of nine independent guilds for different disciplines, the organization hosts regularly scheduled showings, fundraisers and meetings. Check there website for full schedule of events. Cary Memorial Library - offers classes, lectures, reading times and more daily. Check their calendar of events. Town of Lexington Department of Recreation - swimming, tennis, golf and more is available daily for residents. Wilson Farm - Tours, food samplings, fresh produce and vegetables and more available. Zumba with Marina - 9:00-10:00am weekday mornings at 14 Warren St, Waltham, MA 02453 (Inside Nicole's Studio of Dance). Just $10 per class. Please note: This is not EVERYTHING available to do in Lexington MA, just some ideas for you to get out and enjoy our great town. 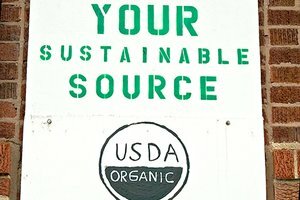 Is your Lexington MA Home eco-friendly? Read the top 10 Green Facts about becoming eco-friendly. This term isn’t regulated at all, so proceed cautiously. There’s no denying that artificial chemicals can cause health and environmental problems. But so can natural ones, like ammonia. Don’t assume natural is a synonym for earth-friendly, hypoallergenic, or good for you without doing your research. Although new energy-efficient windows can make your house far more comfortable, they won’t make a big dent in your energy use. Caulking and sealing all penetrations to your home works great, says Suzanne Shelton, CEO of Shelton Group, a marketing agency that specializes in energy efficiency. But studies, like one from the Florida Solar Energy Center, show you need two to three fans to make a difference, and at $400+ a pop to purchase and install just one, you’ll struggle to recover your investment through the slight energy bill savings: roughly $40 per year. You may look at the price tag for a geothermal heating system and dismiss it out of hand: Systems can cost $10,000 to $25,000 and up. But with federal tax credits for geothermal heat pumps until 2016, you can cut your purchase and installation costs by 30% and your energy bills in half. CFLs are about 75% more efficient than traditional incandescents, but they don’t perform well in enclosed fixtures, especially in humid bathrooms, and disposal is tricky because they contain mercury. Keep an eye out for LED lightbulb bargains instead. They’re more expensive than CFLs and only marginally more efficient, but they last up to five times as long. Also consider incandescent halogens when CFLs aren’t the greatest choice — they cost more than traditional incandescents, but they use 25% to 30% less energy and can last up to three times as long. If your fridge was made before 1993, it’s an energy hog. Replacing it, even if it still works, with an energy-efficient model can save you $100–$200 per year on your energy bills. By the way, putting that old fridge in the garage and filling it with beer isn’t considered recycling, nor is it reducing your energy bill or your carbon footprint. 8. Using Rubber Mulch in your GardenRecycled rubber mulch products keep old tires out of the landfill, and mulch is generally a great way to preserve soil moisture and nutrients. Tankless water heaters are certainly more efficient than conventional water heaters, but thanks to high upfront costs, unpredictable temperature swings (the infamous cold sandwich), and the fact that they’re still an improving technology, the choice isn’t clear-cut. If you live in a warm climate — roughly south of Columbus, Ohio (south of 40° latitude) — or in urban areas where asphalt captures heat — you’d be surprised how much changing your roof color could change your energy bills: 20% on average during the cooling season. This one isn't so important in Lexington MA. Retire Mortgage Free in Lexington MA! In working as a real estate agent in the Lexington Real Estate market for a number of years, I know that the number one thing on peoples’ minds when it comes to buying a home, is the monthly mortgage payment. And it makes sense! We all want to make sure that we can get as close to our dream home as possible while still living within our means. But, have you ever considered that you could be mortgage free? It seems that, apart from having a vast income at your disposal, not having a monthly house payment is nearly impossible. For those looking to retire in our historic town of Lexington, being free from the concern of a mortgage would be the ultimate way to spend their post work years, but is it possible? Whether you currently live in Lexington and are nearing retirement, or your goal is to finish up a job well done and retire in this quaint area; I thought I’d show you how to make a mortgage free retirement happen! Take a look! 1. Make Extra Mortgage Payments- It may seem insignificant to tack on an extra $100 a month, but over time it can amount to major savings! Let’s say you have a $200,000 mortgage at an interest rate of 6% on a 30 year mortgage. Without taxes and insurance, that will amount to around $1,200 a month, which means you’ll be paying a little over $231,000 in interest. But, paying an extra $100 a month can save almost $50,000 in interest and you can be done with the loan five and a half years early! 2. Refinance Your Mortgage- If you currently live in Lexington, refinancing your home could be one of the best ways to cut costs each month or switch to a shorter term loan. Many people are considering refinancing due to the historically low interest rates we’ve seen over the past few years, which is great if your goal is to reduce monthly payments. However, refinancing can also mean switching out your current 30-year mortgage to a 15-year loan. While you will be paying a little more each month, you’ll find yourself mortgage free much sooner! 3. Downsize Your in Your Lexington Home- We all love to have our own space and a home that allows for hosting gatherings and guests. But, do you need the same amount of space as you did earlier in life? While you do want to account for friends and family that will want to come visit you in your Lexington home; you won’t need a lot of extra space such as a formal dining room or a formal living room. Downsizing can allow you to find a less expensive home and, if you are selling your current home to relocate to historic Lexington MA, you could potentially make an all cash offer! My desire as a Lexington Real Estate agent is to guide you to help you achieve your real estate goals. 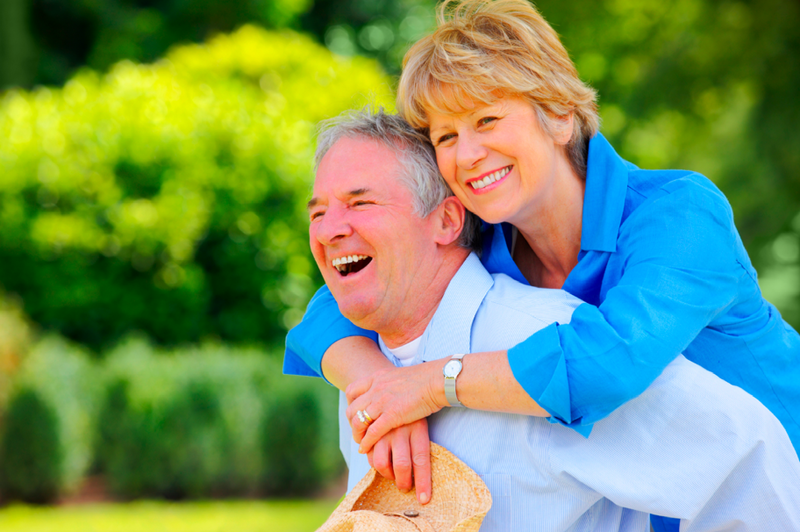 Whether retirement is quickly approaching, or it’s still a few years away, you can start now to implement these tips! If you have questions about buying a Lexington home for retirement or are curious to learn more about the Lexington Real Estate market; please let me know! I’m here to answer any questions you have!